Easy 4 Fold Card Tutorial Using New Catalogue Products! 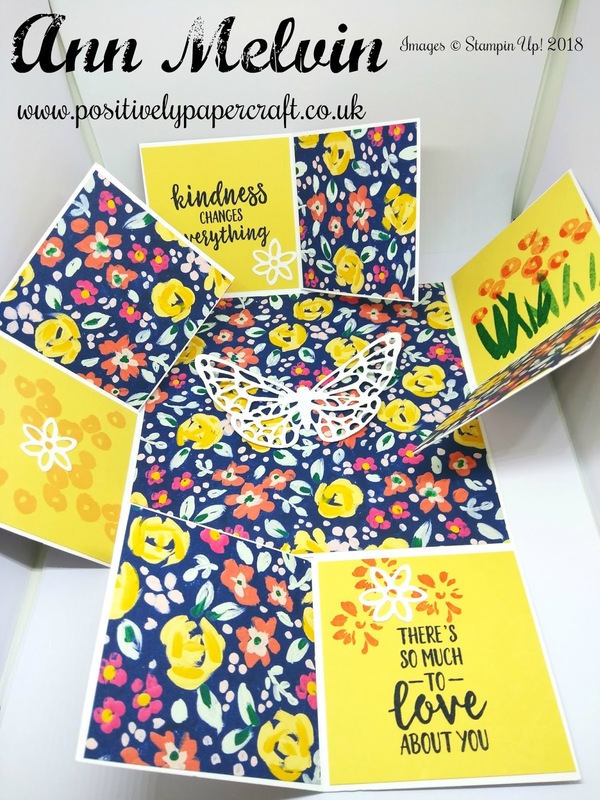 Today i am really excited to share this gorgeous 4 fold card with you. I love it and its such a fun design and very simple to make. I could not resist using some of my pre order products! This card would cheer anyone up!! One of the great things about this card is that it folds flat for postage and will fit into a 6 x 6" envelope. You will have great fun decorating this card and i think it would also make a great card for young Children. You could even turn it into a mini album and add lots of photos instead. The choice is yours. 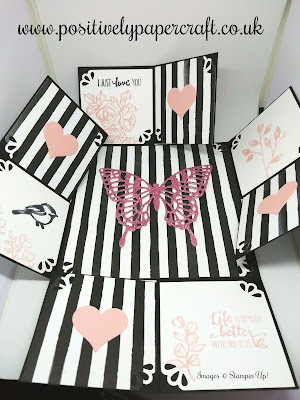 You will need a 12 x 12" piece of card stock to make your card. 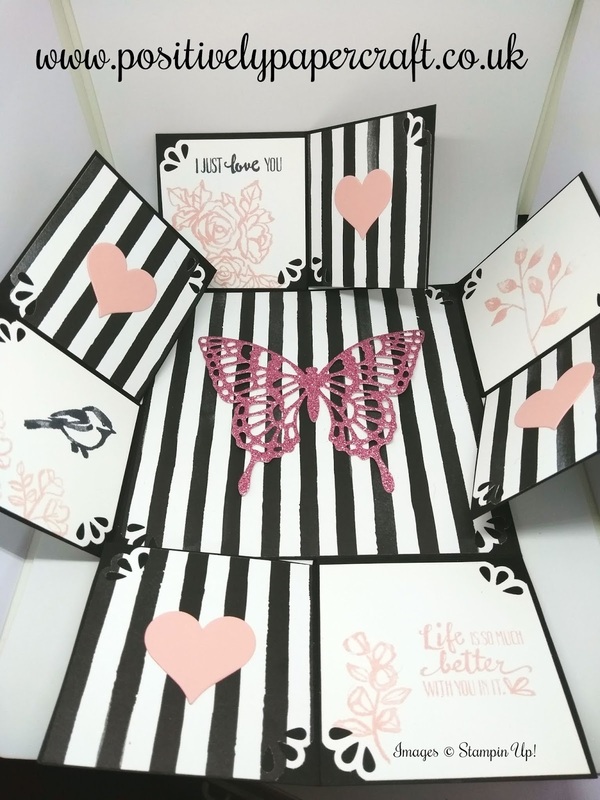 12 X 12" CARD, SCORE ALL 4 SIDES @ 3"
SCORE THE REMAINING 4 SIDES IN THE MIDDLE @ 3"
1 PIECE MEASURING 5 7/8" X 5 7/8"
12 PIECES MEASURING 2 7/8" X 2 7/8"
4 PIECES CARD (FOR STAMPING) MEASURING 2 7/8" X 2 7/8"
Thank you and i will be back tomorrow with another Memories and More Monday. Thanks so much for showing how to use our stamps at their most. Sorry! You did not include the list of stamps and dies you used. 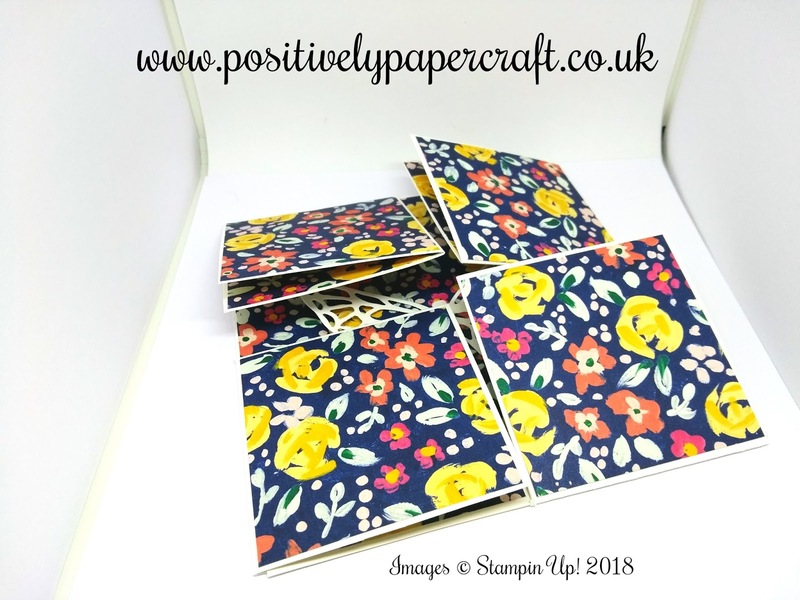 A beautiful card/mini- album!! What a different fold/card Ann. Will have to give this one a try and see how it comes out. I'm just starting and learning and at the moment so I do not have a lot of stamps, ink, etc. So I must use my small stash of everything. Hopefully I can come up with a card that will pass my judgement.